There are many different industries that use impact wrenches from residential and DIY type projects to industrial and commercial applications. Choosing the right impact wrench for the jobs and tasks you need it to do can be difficult if you don’t know what to look for. Impact wrenches can really make a difference in removing bolts and nuts or driving them into whatever project you are working on. When looking for the top impact wrenches, we did extensive research, finding the top 15 impact wrenches on the market and then compared them against each other in the areas of performance, torque, size, weight, warranties and other categories. Using an impact wrench to take care of removing fasteners and driving them in as well can save you a lot of fatigue, a lot of frustration and a lot of busted, bruised knuckles from your hand slipping off of a regular wrench, as well. With all of the factors involved in different impact wrenches, this guide will help you sort through and find the most important things to look at. They are not very difficult to use and can be used even with electricity, air compressors or batteries depending on your personal preferences. 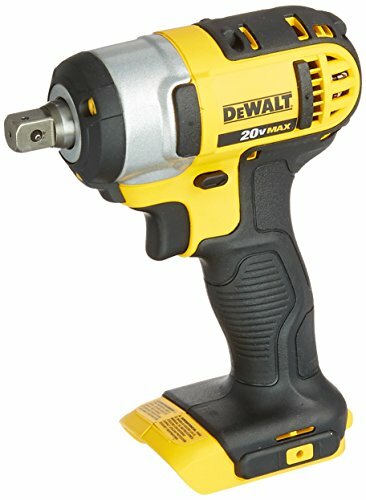 If you don’t have an impact wrench in your collection yet or you have been wondering if you should get one, read this guide and the valuable reviews. You’ll definitely see their value and how easy they can make certain jobs. These three Impact Wrenches are at the top of the list and any one of them would make an excellent addition to your workshop or garage. Bostitch BATMT72391 ½” Impact Wrench is the perfect tool to add to your tool box. It features a twin hammer mechanism that provides high torque and a long life as well. The adjustable power regulator allows users to switch from low to medium to full power as needed so you don’t damage any bolts. Users will have full power on reverse mode as well which will keep them from stripping the bolt when it doesn’t want to loosen. The comfortable, ergonomic handle has a cushion grip made of rubber that absorbs shock and reduces hand fatigue. The bottom handle exhaust will direct the air away from the user. Users will love the touch control trigger allows for soar speed control. Air consumption is 3.9 CFM at 90 PSI. Other features include 1.2” square drive, ¼” air inlet and 500 pounds of torque. DEWALT is a well known and loved tool manufacturer that produces a large array of excellent quality tools just like this 20-volt ½” Impact Wrench Kit. It is strong, compact and very forceful. The cordless design allows users to get into small, tight spaces and provides a whopping 1800 inches per pound of torque. It is lightweight as well, weighing only 3.4 pounds. The three LED lights have a 20 second delay after the trigger is released. The LEDs provide plenty of light and visibility without throwing shadows. The anti-slip comfort grip is textured and gives plenty of maximum control and comfort. Users will be able to drive and remove fasteners of all kinds in whether in concrete, wood or metal. The DEWALT Impact Wrench has a maximum no-load speed of 2300 RPM and works with a 20-volt Max lithium-ion battery and charge that will need to be purchased separately. Gain even more peace of mind with the 3 year limited warranty. It doesn’t matter whether you are a professional mechanic or a hobbyist that loves to work on cars, the Ingersoll-Rand 231C Impact Wrench can make rotating tires and performing maintenance on your vehicle much simpler. It comes with the Twin Hammer Plus impact mechanism for ½” drives. There is an air consumption of 4.2 CFM (cubic feet per minute) the pressure-feed lubrication makes removing lug nuts and stubborn bolts so easy you’ll wish you had gotten this terrific wrench a lot sooner. Delivering a max. torque of 425 ft per pound and providing 8000 RPM (and 1200 BPM) users will have plenty of power and torque for even the toughest of jobs. The power regulator is adjustable to ensure the best and most consistent results. The 231C provides the user with variable power one direction and full power the other direction. This valuable little tool measures 7.2” in length and weighs a lightweight 5.3 pounds. You won’t have to deal with stress on your wrists and hands and transporting it to the worksites is easy too. The contour handle is easy to hold and reduces hand fatigue even in all day jobs. The 231C Impact Wrench comes fully lubricated and is ready to use right when you open it. When looking for the top impact wrenches, we did extensive research, finding the top 15 impact wrenches on the market and then compared them against each other in the areas of performance, torque, size, weight, warranties and other categories. Read even more about how to choose the right impact wrench in our buyer’s guide below. We will provide you with all the information you need to choose the right impact wrench for your needs and tasks. An impact wrench is a powered socket wrench that incorporates a hammering and twisting motion simultaneously to deliver high torque to the nut or bolt during driving or removing. 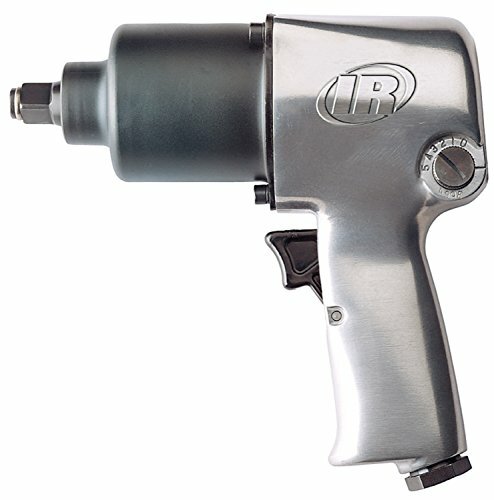 Other names that an impact wrench has been known by include rattle gun, torque gun, air wrench and air gun. They will use one of three power sources: air, battery or electricity. Compressed air – many professional mechanics use compressed air impact wrenches at the garage when fixing cars. The air tank is connected to the wrench and acts as the main power source. The air compressor helps the impact wrench to generate a lot of torque. This makes it very good for heavier jobs. Without an electrical source of power, air compression impact wrenches are relatively lightweight. The only drawback is that you will need to have a tank of compressed air ready to make it work. Electricity – Electricity-powered impact wrenches also provide a lot of torque. They are not quite as strong as the impact wrenches that use compressed air. Electricity powered impact wrenches are well suited for smaller jobs such as a home workshop. You will need electricity to run these types of impact wrenches. Corded impact wrenches are not very heavy at all due to the absence of a battery supply attached to the impact wrench. Battery- Some impact wrenches use battery power. They are cordless which makes them very convenient to move around. You will need to make sure that the battery is fully charged so you don’t run out of power when you are in the middle of a job. Many users will buy an extra battery to keep on hand for when one loses its charge. This will prevent any lapse in using the tool. When you are looking for a good impact wrench you want to be certain that you consider the different features that they can have. If you only use an impact wrench at home or rarely, you will not need the same quality or power that you will if using the impact wrench is something you use daily. Weight – How heavy the impact wrench is can affect certain things like how tired your hand and arm gets as well as other things. Weight isn’t that big a deal for short projects but if you’re doing a long project, a heavy impact wrench can cause a lot of tiredness . Size – The smaller the impact wrench is the better but unfortunately there is usually a sacrificing of torque the smaller the impact wrench gets. Not all the time but it is something to watch out for. No Load Speed – This is how fast the wrench turns when it is not doing anything. Higher no load speeds will fasten the screws and bolts more quickly but sometimes a higher speed means lower torque. If you have to choose between higher speed and higher torque, go with the higher torque. Drive Size – The most common drive size is ½” which works for almost all applications. 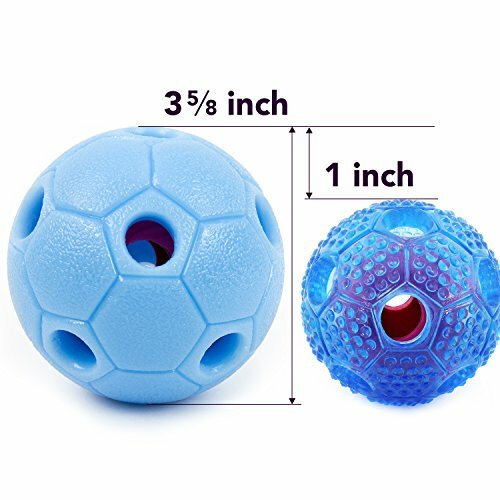 The next size that is commonly use is 3/8”. That will be a smaller torque wrench overall and will have less torque than a ½” drive wrench. Ergonomics – Ideally you want to choose an impact wrench that is easy to handle and easy to hold and use, even for long periods of time. Comfortable grip materials are also important for comfort. A comfortable impact wrench handle means you can take care of longer jobs with less fatigue and cramping or soreness. Warranties – Find an impact wrench with a good Warranty. Most manufacturers offer at least a one year warranty, although you will find some that offer 2, 5 and even longer warranties. Torque Adjustment – This feature allows the user to adjust the amount of output torque that the impact wrench is providing. This is very good in preventing overtorquing or snapping a bolt head right off. Impacts per Minute – A higher n umber of impacts per minute means the impact wrench can drive screws faster and will also be able to loosen the bolts that are torque more tightly. Don’t overtorque the fastener to ensure that it doesn’t get stripped or broken off. Don’t start threading the bolt using the impact wrench. Start it by hand and then go from there. Don’t use sockets that are not designed for impact wrenches. Wear safety goggles when using the impact wrench. Applying that much force on metal parts can result in tiny pieces chipping off and flying right into your eyes. Compared to your other tools, impact wrenches are more specialized in what they do but that does not make them any less important or valuable in your tool box. Whenever you have to deal with larger nuts and bolts you will really appreciate having a goof quality impact wrench on hand. It is even more important if you work on vehicles for a hobby, or you have an actual automotive repair business. The information provided to you in this buyer’s guide will help you by giving you the knowledge you need to sort through the many different impact wrenches that are available. Make sure you know what you will need your impact wrench for and how often you will be using it and you will be all set to choose the perfect impact wrench for your specific needs.